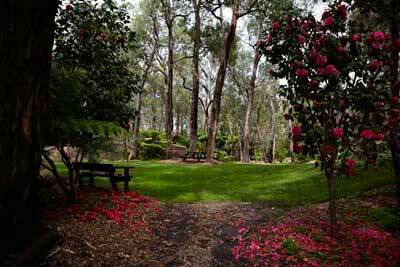 Araluen is Western Australia’s much loved second Botanic Garden. Camellias, Rhododendrons, Magnolias, Daphnes, Roses, Tulips and millions of other bulbs flourish amongst the many species of Eucalyptus trees in its 59 acres. Walk ‘n Talk tours are provided and popular interviews given on local radio. Maps of the grounds pinpoint areas where camellias are growing. 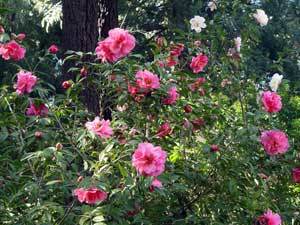 Araluen Botanic Garden is a very special place for camellias. Overseas visitors may not expect to see such a wide range, of over 450 cultivars, thriving in Western Australia . They form swathes of colour from autumn through Spring, under the protective canopy of Araluen’s 100,000 deciduous trees, enjoying the cool moist microclimate provided by the fresh water stream that flows through the garden. Planting is informal and maps pinpoint the areas where camellias are found, they are well labelled with an annual audit to ensure that labels are always clear and attached to the correct plant. A data-base of species and varieties held in the garden is available on request and an information tablet gives quite detailed information about camellias, their introduction to Australia and their care in Australian gardens. Some, including the beautiful C.pitardii hybrid ‘Araluen Star’ were bred in the State. Others have been donated by individual members of the Camellia Society of Western Australia who give enthusiastic help and guidance to the gardens. Entry Fees - modest fees apply. 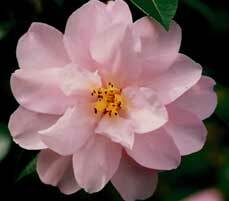 Sasanqua camellias start in March. Early July through October each year for Camellias and other spring blooms (including the popular tulip display during Aug/Sept). Internationally acclaimed Roses are best from November through April.